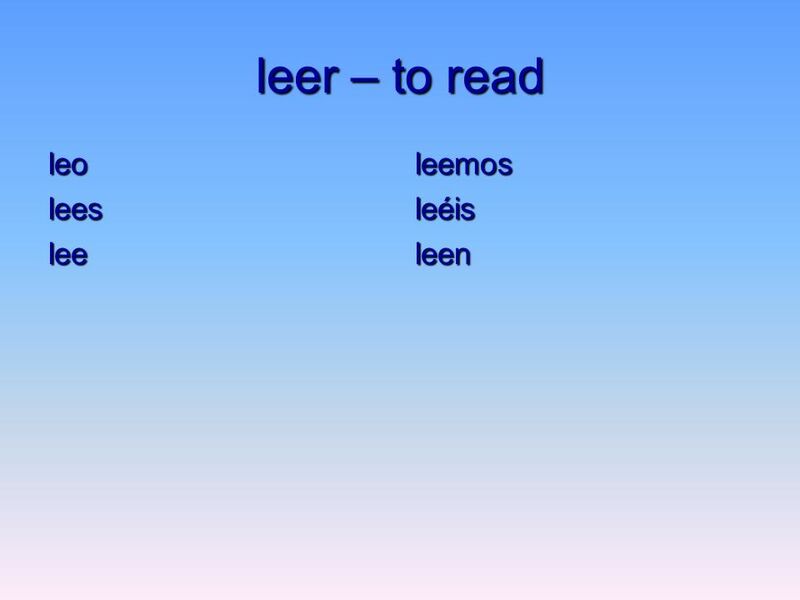 Regular –ar/–er Verbs Conjugations Ok Class Lets conjugate some verbs! Ready?Vamos! 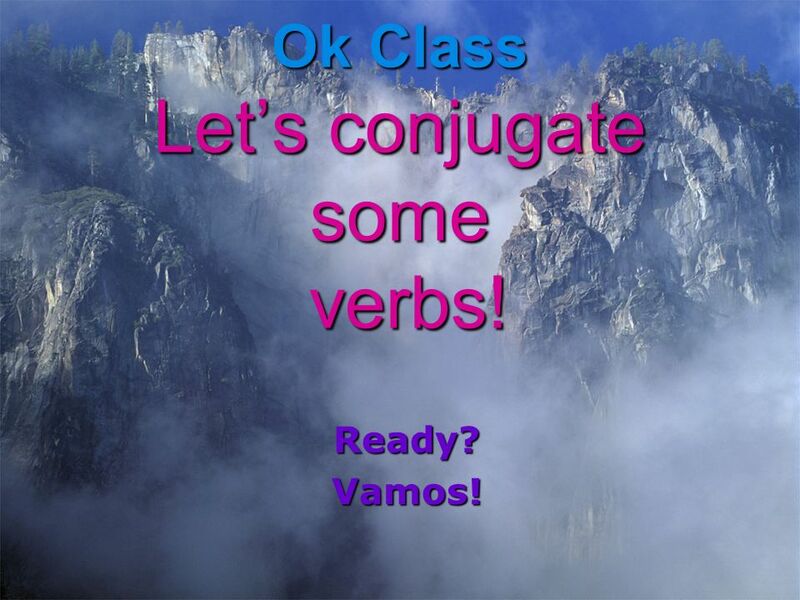 3 Ok Class Lets conjugate some verbs! Ready?Vamos! 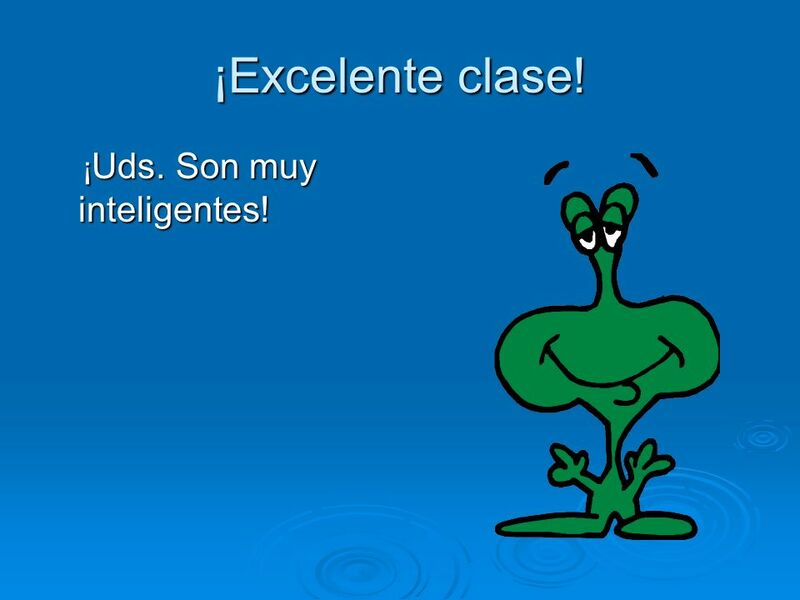 16 ¡Excelente clase! ¡ Uds. 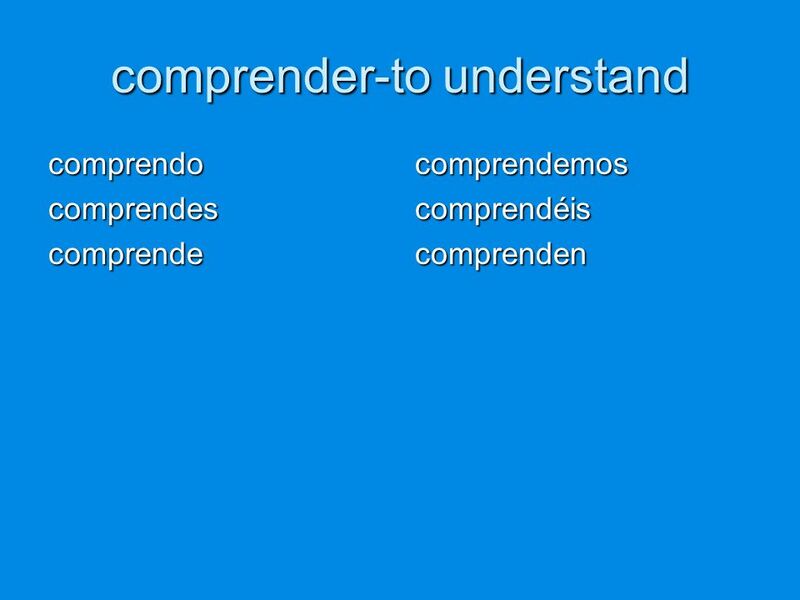 Son muy inteligentes! ¡ Uds. Son muy inteligentes! 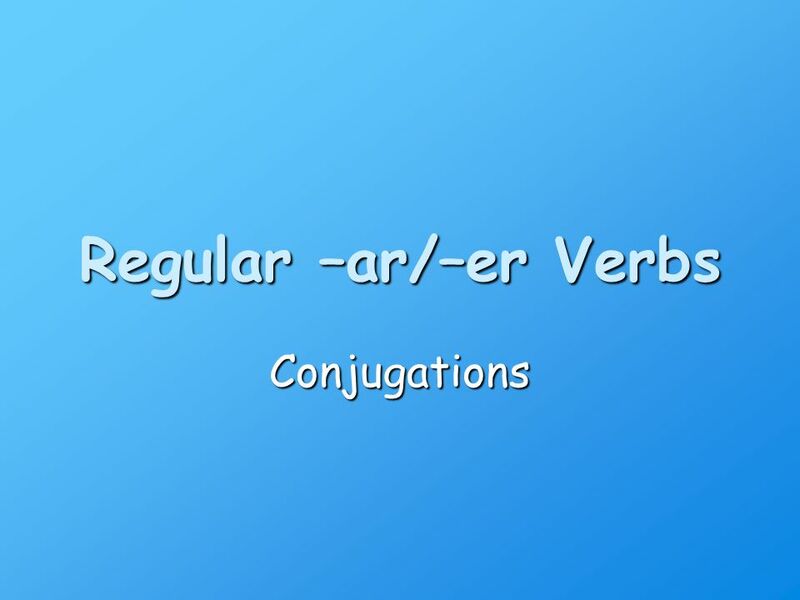 Descargar ppt "Regular –ar/–er Verbs Conjugations Ok Class Lets conjugate some verbs! 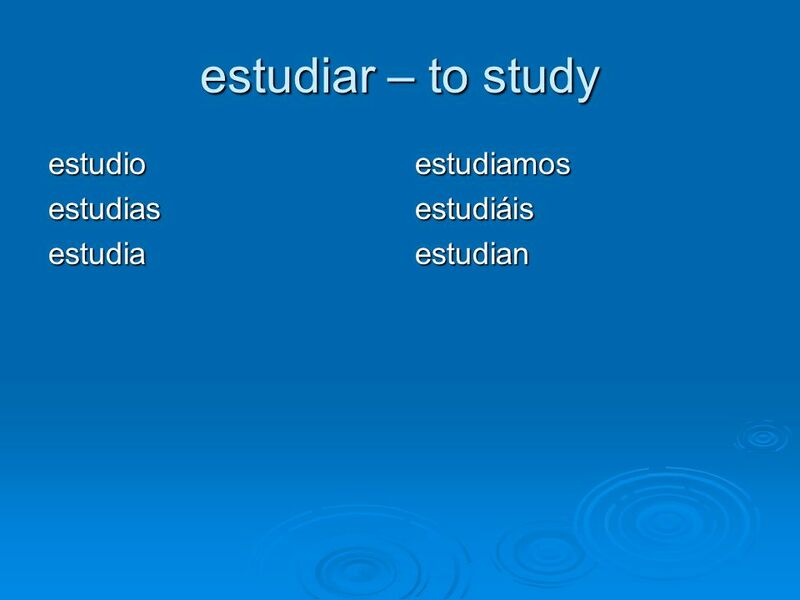 Ready?Vamos!" 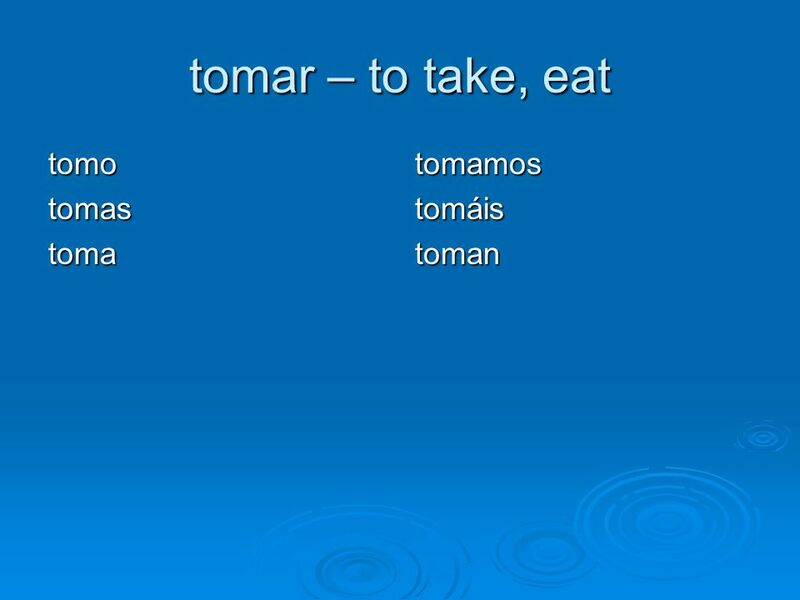 Los mandatos….o commands •To give a command or to make a suggestion to someone you address as “tu”…we use the informal command form. 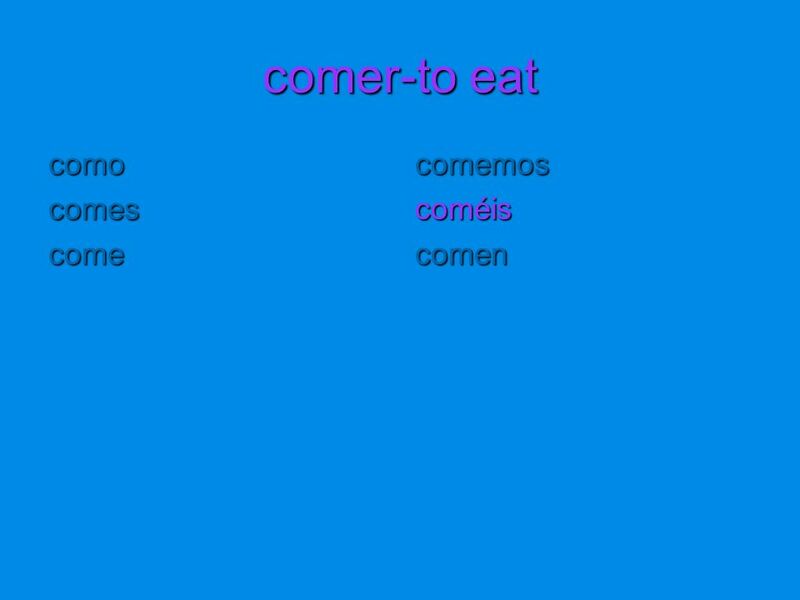 Verb Conjugation Charts Ch.1-4. 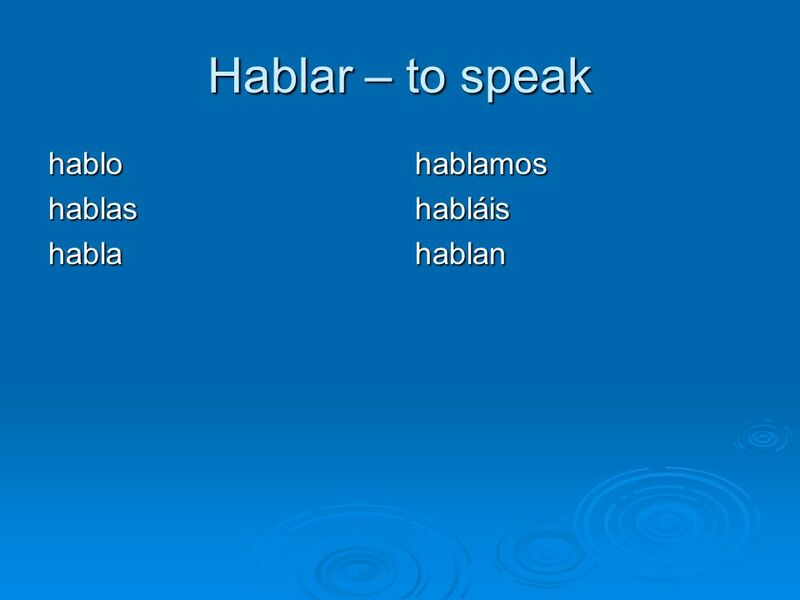 Hablar: to talk/to speak HabloHablamos Hablas HablaHablan. 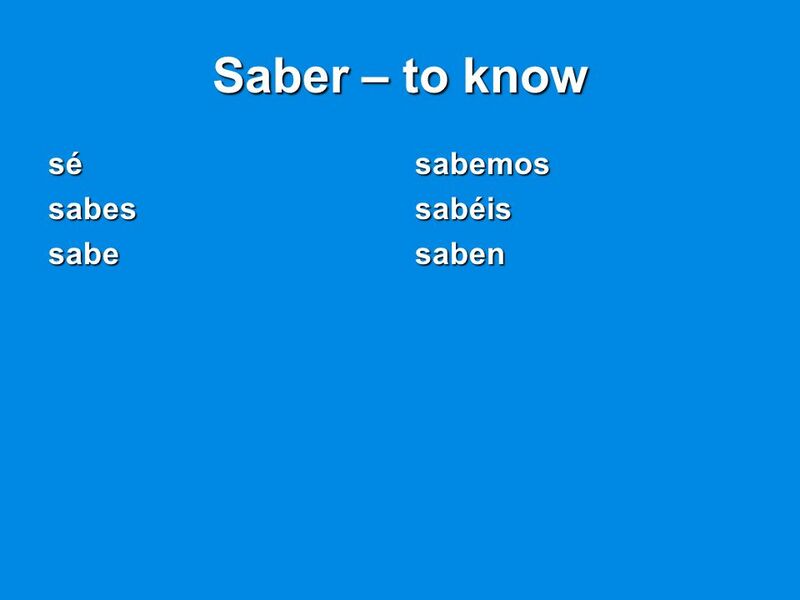 AR VERBS -AR Verbs You Should Know cantar bailar hablar estudiar ayudar buscar dibujar pasar enseñar comprar patinar escuchar. 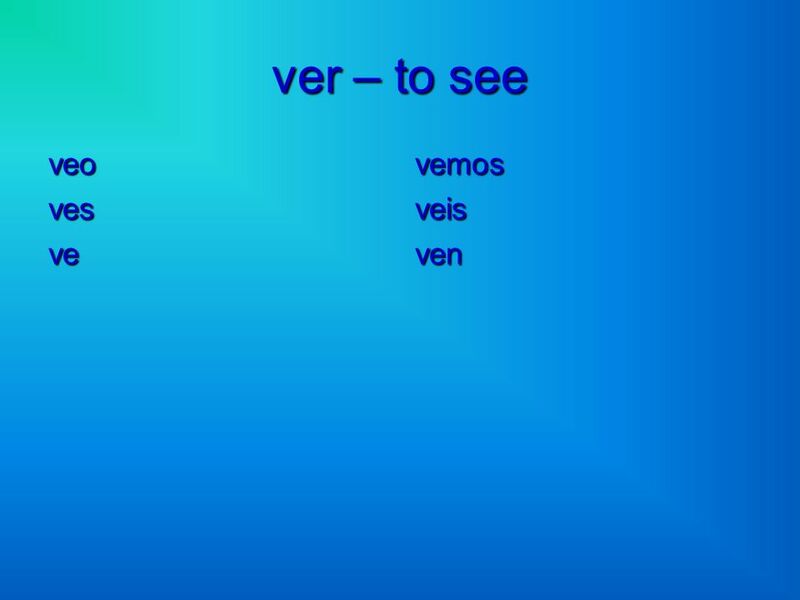 Some er/ir verbs with irregular YO forms Spanish 1. 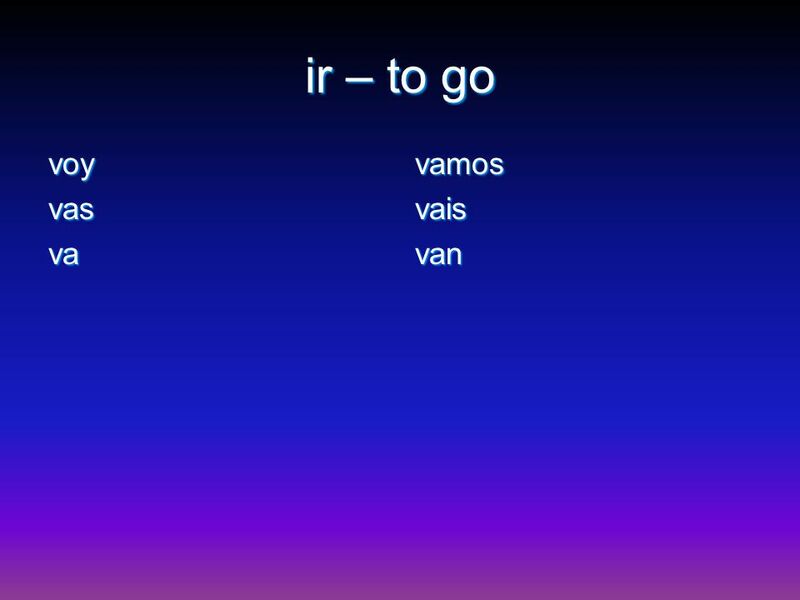 Some ER/IR Verbs with Irregular Yo Forms. 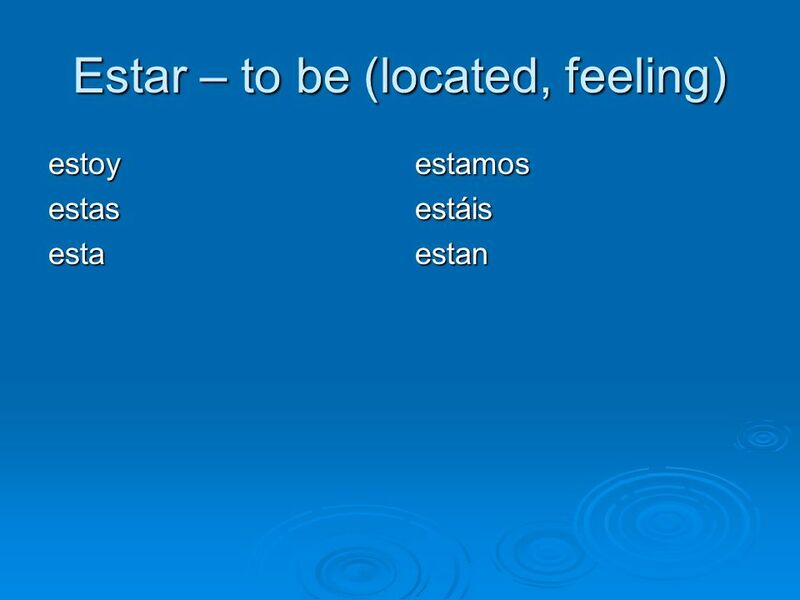 ER/IR Irregular Yo Forms Some er/ir verbs have irregular yo forms, such as hacer, poner, traer, saber, ver and. 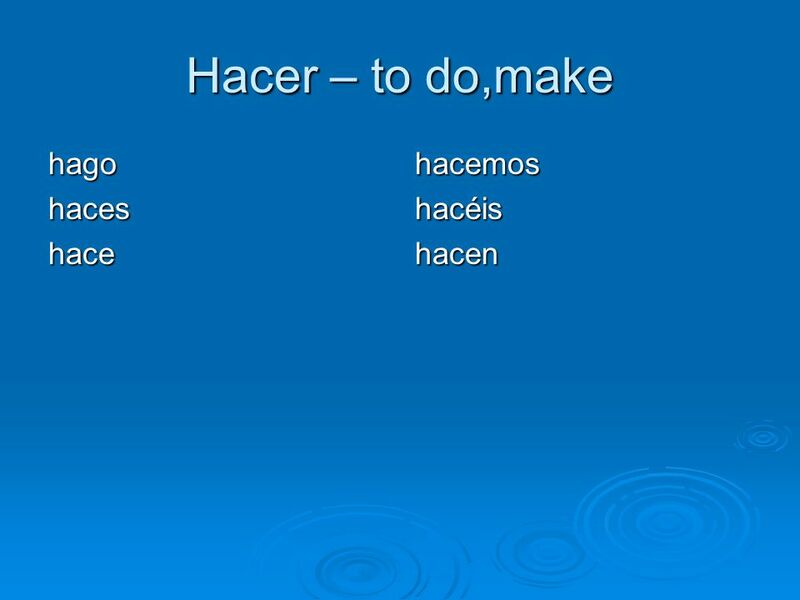 ACTION VERBS In order to speak a language, you need to say what is happening, what people are doing, etc … You must learn your action verbs! 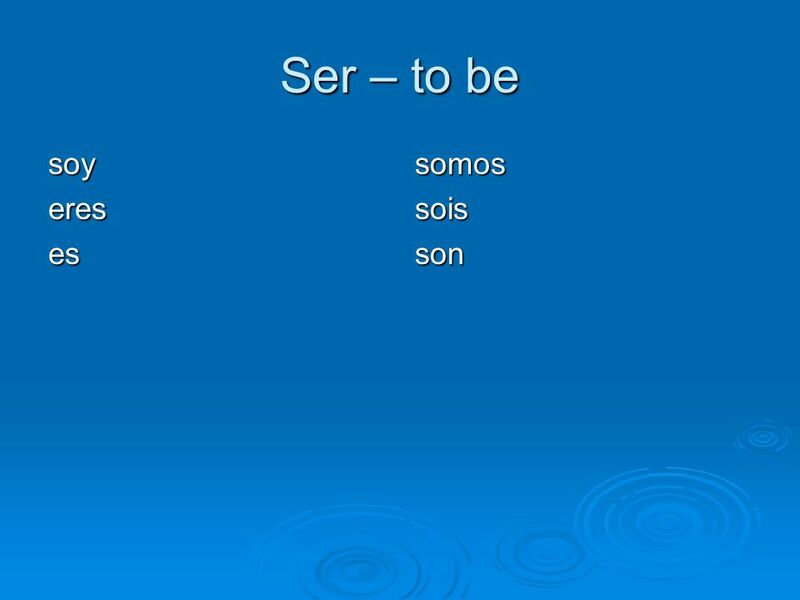 ER VERBS Present tense conjugation of ER Verbs in Spanish.